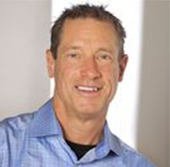 Founder of the newsjacking movement, David has taught the technique to live audiences in more than 20 countries. After NewsEdge was acquired by The Thomson Corporation, my position as vice president of marketing was eliminated. I was fired. Sacked. My ideas were a little too radical for my new bosses. My ideas were a little too radical for my new bosses. This was in 2002, one of the worst job markets in history. So I started my own business to refine my ideas, work with select clients, and teach others through writing, speaking at conferences, and conducting seminars for corporate groups. The subject of all this work: Reaching your buyers directly to drive more revenue. Since then, many new forms of social media have burst onto the scene, including blogs, podcasts, video, virtual communities, Twitter, Facebook, Instagram, Periscope, and many many others. But what’s the same about all the new Web tools and techniques is that together they are the best way to communicate directly with your marketplace. My 2007 book The New Rules of Marketing & PR opened people’s eyes to the new realities of marketing and public relations on the Web. Six months on the BusinessWeek bestseller list, New Rules, now in a 5th edition, has sold over 350,000 copies in more than 25 languages from Bulgarian to Vietnamese. In 2011, I pioneered the idea of Newsjacking. The concept fascinated me so I researched how people were reaching the media and buyers in real-time and wrote the definitive book on the subject in 2011. 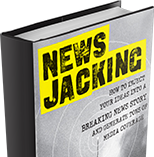 Since then, I’ve refined the ideas and developed the Newsjacking eCourse in 2015. My other international bestsellers include Real-Time Marketing & PR and Marketing Lessons from the Grateful Dead (written with HubSpot CEO Brian Halligan) and my most recent books The New Rules of Sales and Service and Marketing the Moon (written with Richard Jurek and with a foreword from Gene Cernan, the last man on the moon) are generating tremendous buzz. I deliver an average of 40 paid speeches a year and have delivered talks on all seven continents. As a marketing speaker, people say my high-energy presentations are a treat for the senses. I'm also a sales speaker, helping people to grow their business with agile sales strategies. I’ve delivered talks on all seven continents and in 41 countries to audiences of the most respected firms, organizations and associations. I serve on the advisory boards of HubSpot, ExpertFile, VisibleGains, GutCheck, the Grateful Dead Archive at UC Santa Cruz, and HeadCount. I’ve been a Wall Street bond trader and a male model. I’m a Deadhead. I collect artifacts from the Apollo space program and have a lunar module decent engine in my private museum. I’ve appeared in TV commercials, acted in the movies American Hustle and Joy, and was even in an opera in Tokyo, with the company from Teatro alla Scala. One of those select few people who saw and understood the social media phenomenon as it began. Like all the best teachers, ... inspires you to do your own thinking in your own way... enlightening and liberating. It is the new rules. A whole new world. David is informative, entertaining and inspiring! No one knows more about new ways to reach buyers. The groundbreaking strategies in this book reinvent the way entrepreneurs engage the marketplace and grow business.